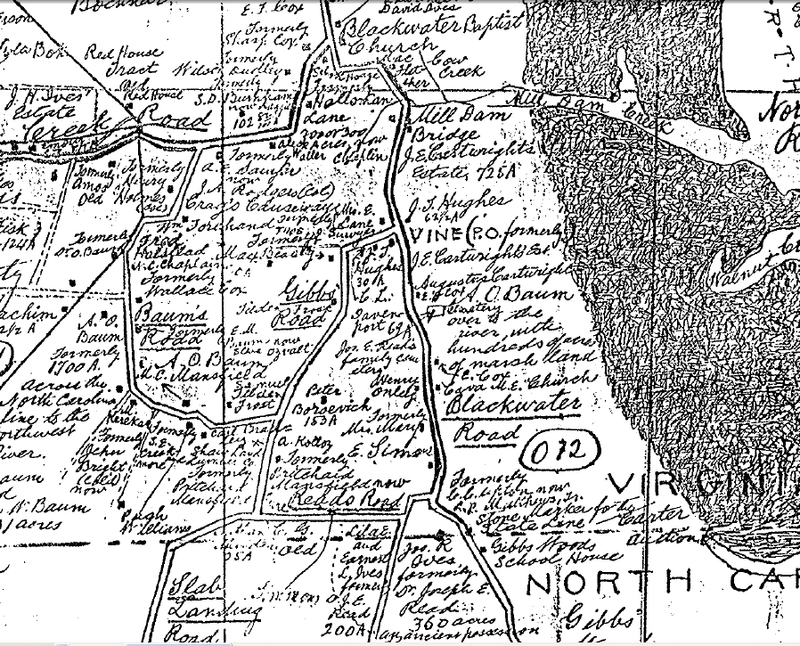 Part of the Princess Anne County Virginia Road Map by L.O. Hines, County Engineer, dated August 1928. 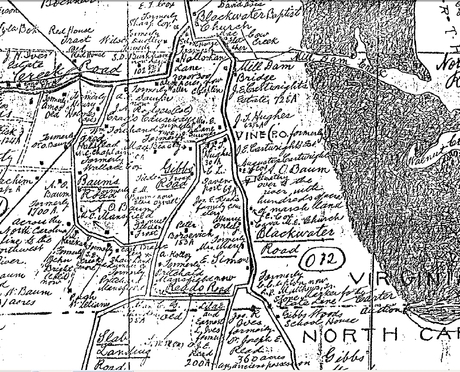 It shows current and former farm and estate owners and landmarks such as churches,schools, and bridges.